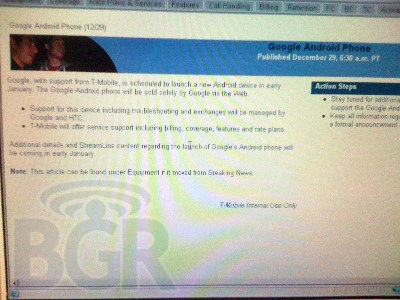 The images to the left of this paragraph and below are the most solid indication of the Google Phone (Nexus One) and the plans for it.Â We’ve been hearing for a few weeks now about a rumored January 5th date for launch or announcement and these seem to help substantiate that.Â Also a commonly spread .Â The sources for these two pictures are Boy Genius Report and TmoNews tipsters and both essentially say the same thing. Support for the device including troubleshooting and exchanged will be managed by Google and HTC. T-Mobile will offer service support including billing, coverage, features and rate plans. The second, smaller image is harder to read but the text has been transcribed. Support for the device including troubleshooting and exchanges will be managed by Google and HTC. T-Mobile will offer service support including billing, coverage, features, and rate plans. 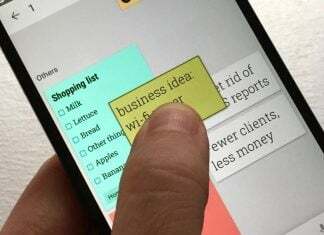 Additional details Streamline content regarding the launch of Googleâ€™s Android phone will be coming in early January. This will be a very exciting few days!Â Will the Nexus One steal the CES thunder?